Homestyle II is just a week away, June 17 at Peter Chang’s. 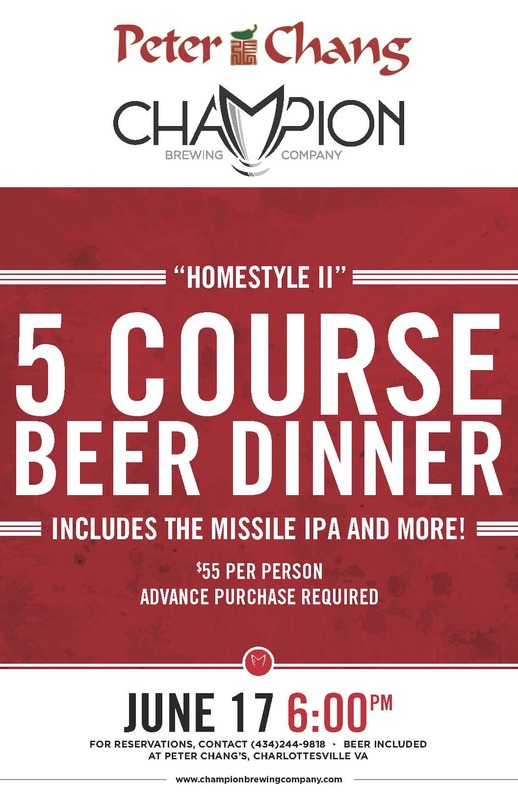 Once again, Peter Chang will prepare a multi-course feast of some of his favorite dishes from back home, which Hunter Smith will pair with beers from Champion Brewing Company. Tickets for the dinner sold out almost immediately, but we’ve got two to give away. To enter, just “Like” this post on Facebook, or email us at charlottesville29@gmail.com with subject line Homestyle. We will conduct a random drawing and announce the winner Thursday, June 11 at 9 am. If the winner does not claim their seats, we will re-draw that day. Good luck.